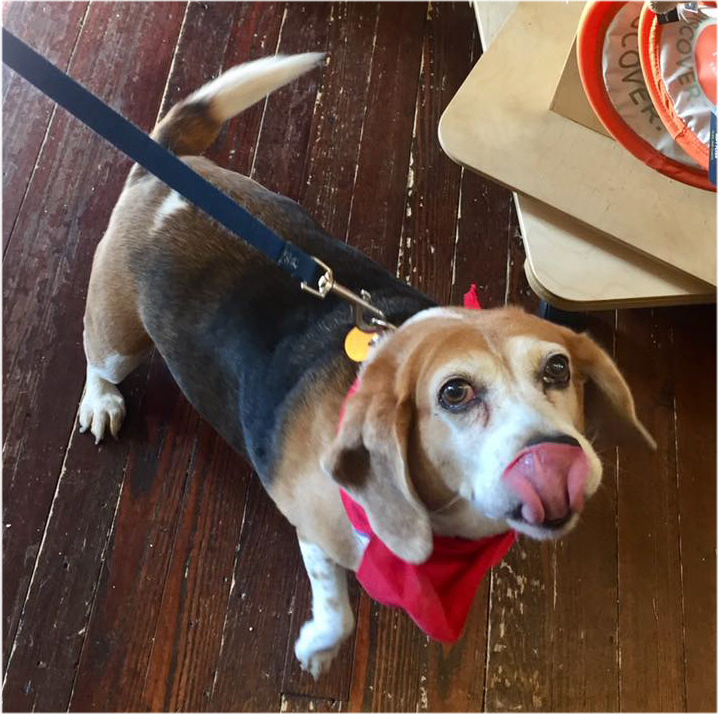 Daisy is 11 years old and in need of a foster home. She has a couple of health issues that are not critical, but will be ongoing. Daisy has a condition called diabetes insipidus. The medication to control it (not insulin-this isn't your classic diabetes) is not expensive, nor are the meds she needs to control pain from arthritis. She is housebroken, but needs frequent trips outside - every 4 hours or so. She does well with dogs the same size or even larger, but youngsters, both canine and human need to be gentle as she fears getting hurt. Daisy is a very good girl and is very well behaved. Her former foster did not crate her when leaving the house. Daisy is not destructive, no inclined to counter surf. She is loving and quite sweet - and she needs a soft place to land. Can you help? Please contact icanhelp@beaglemaryland.org.